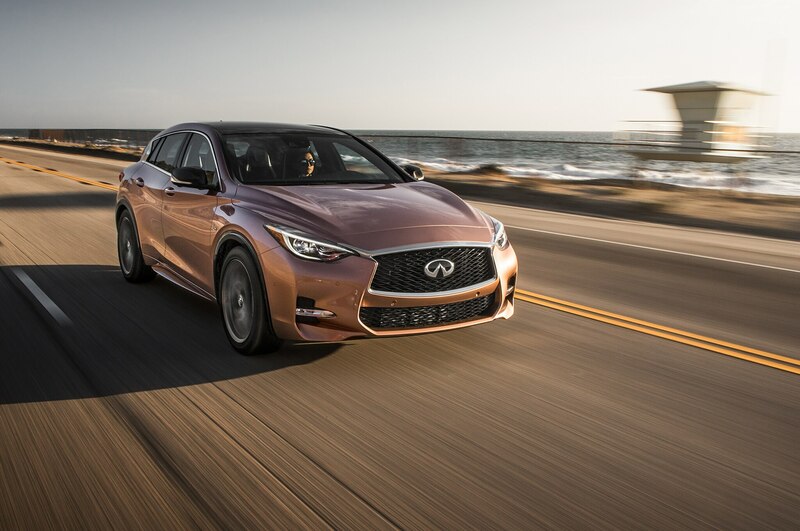 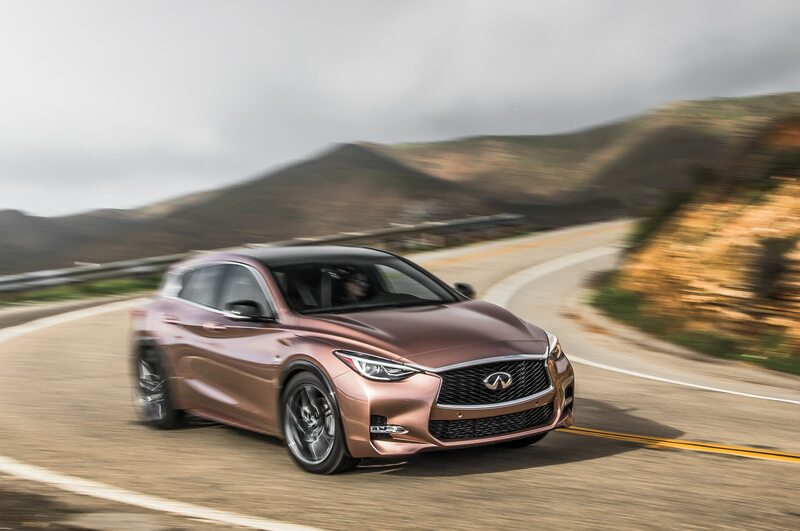 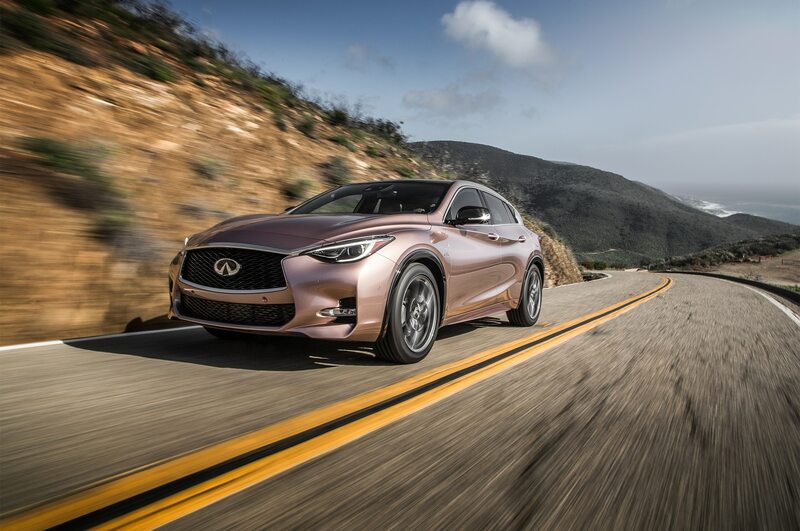 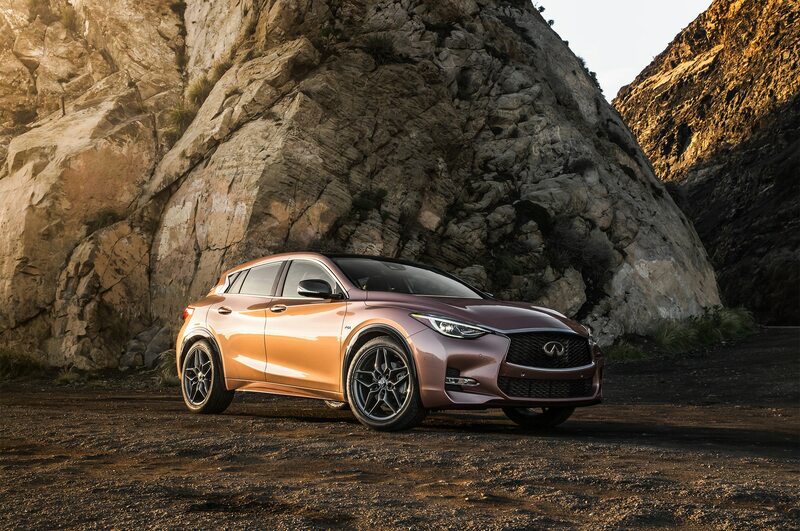 Infiniti’s curvy crossover looks especially fetching from the front. 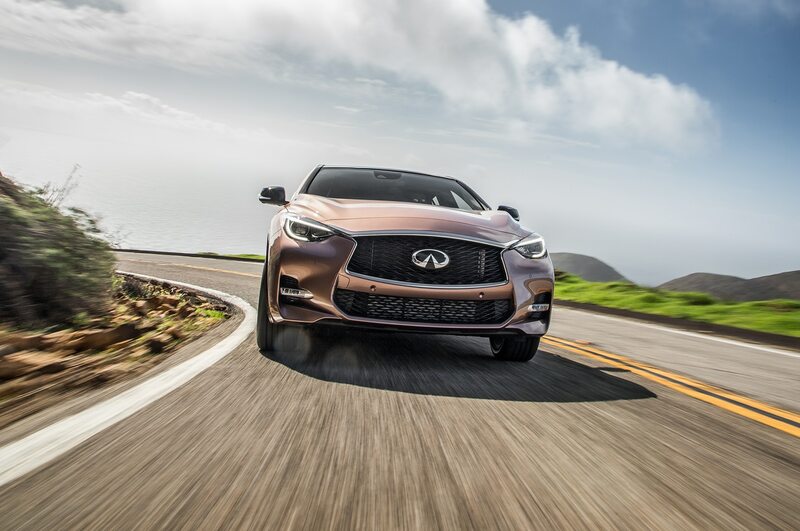 It has narrow, hooded headlights, a wide double grille, bubbly bodywork, and a gently undulating hood. 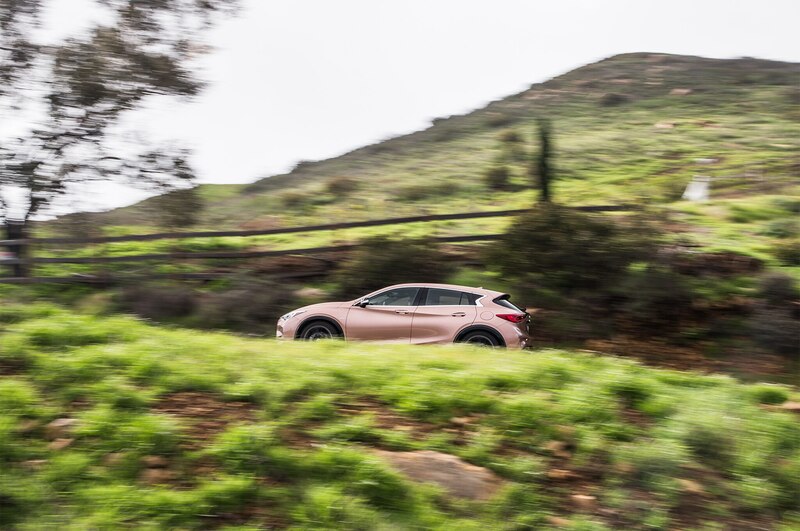 In comparison, the Mercedes looks blocky and bloated — the duller sibling in an oversized tracksuit. 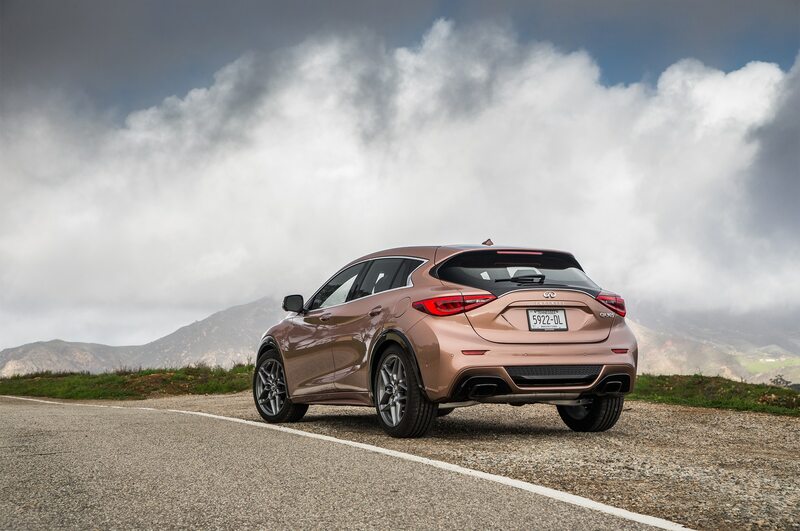 From behind, the Mercedes fares even worse, with bulky, trapezoidal taillights that are anything but sleek. 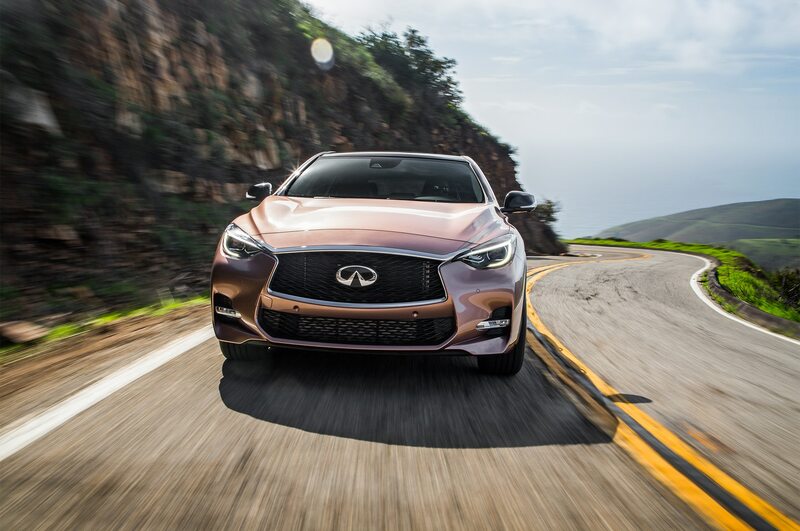 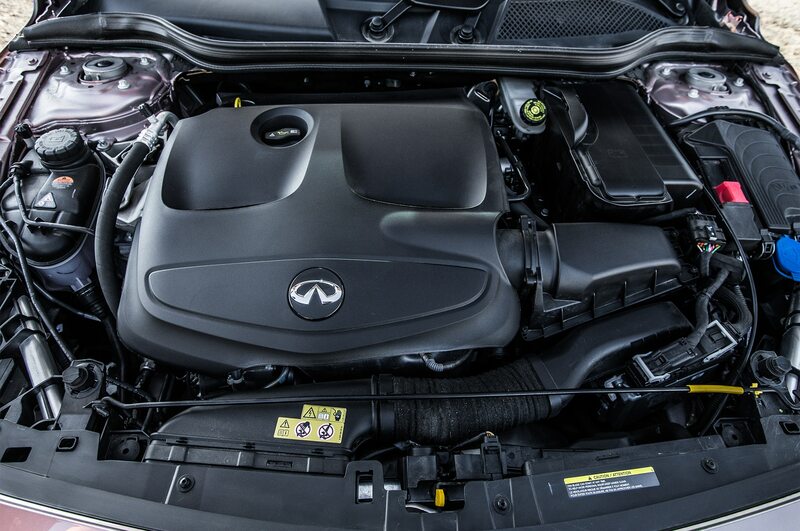 The Infiniti offers a more graceful look, with taillights that wrap nicely around the car’s billowy hips, tapering off into a pair of ruby-red cat eyes. 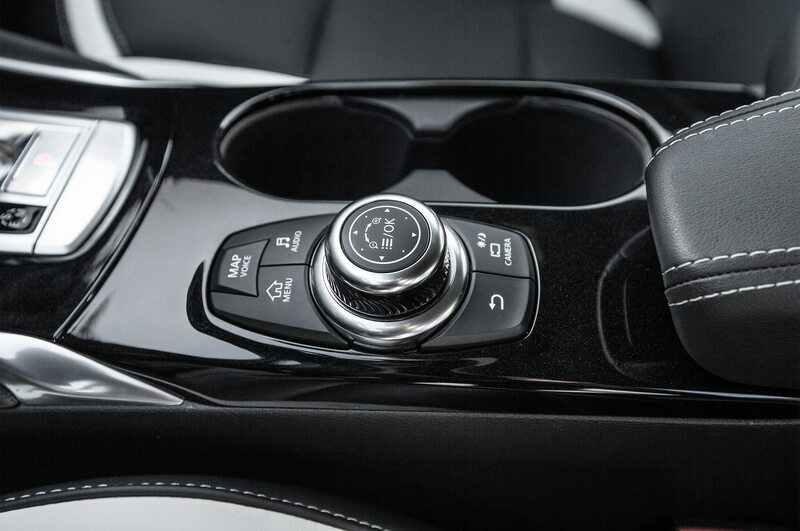 There are other design flourishes, too. 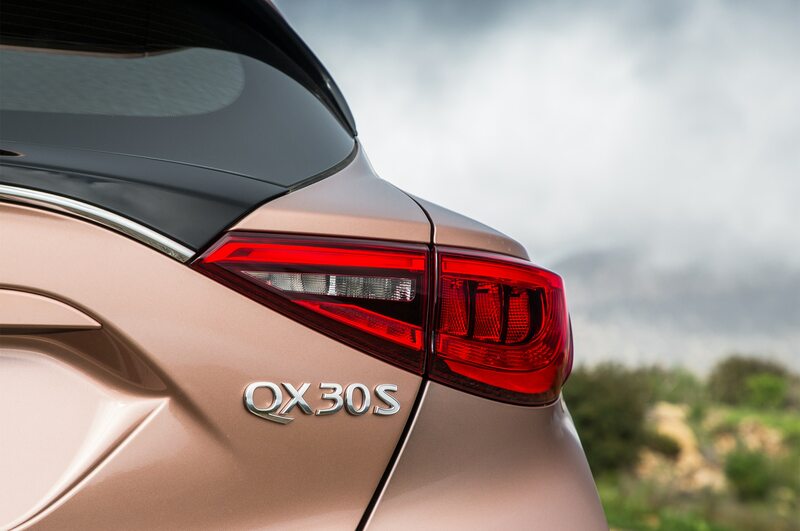 In profile, the Mercedes is boxy, while the QX30 zigzags aerodynamically from the roof to the chrome-tipped dual exhaust below. 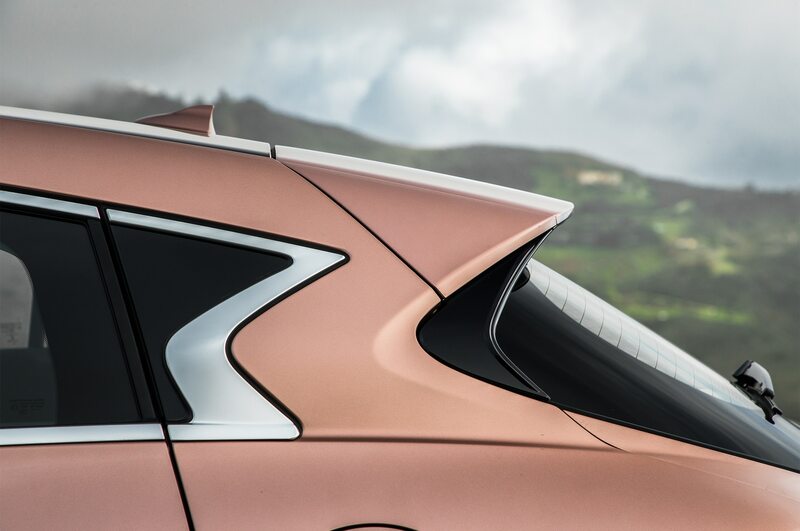 It’s this kind of small touch that makes the car look dynamic. 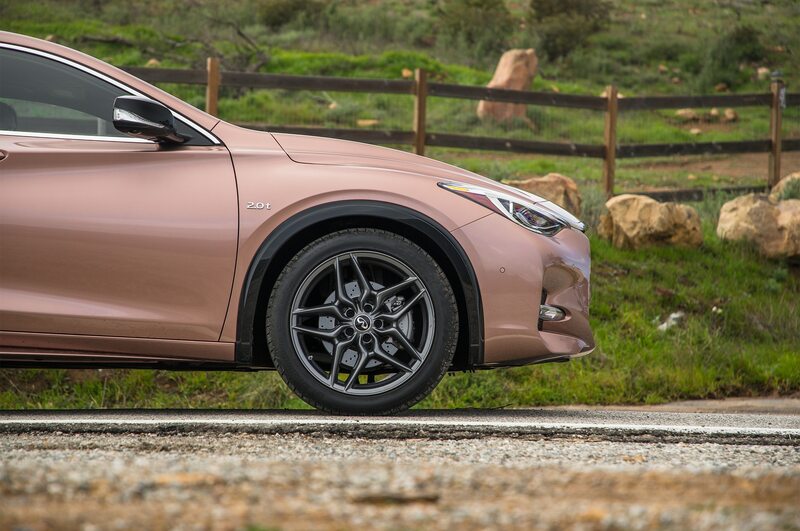 We snagged a Sport version to add to our Four Seasons stable. 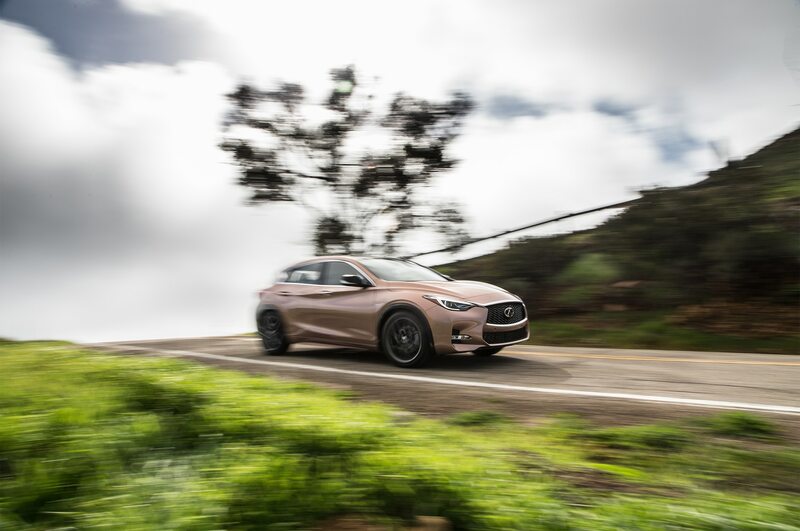 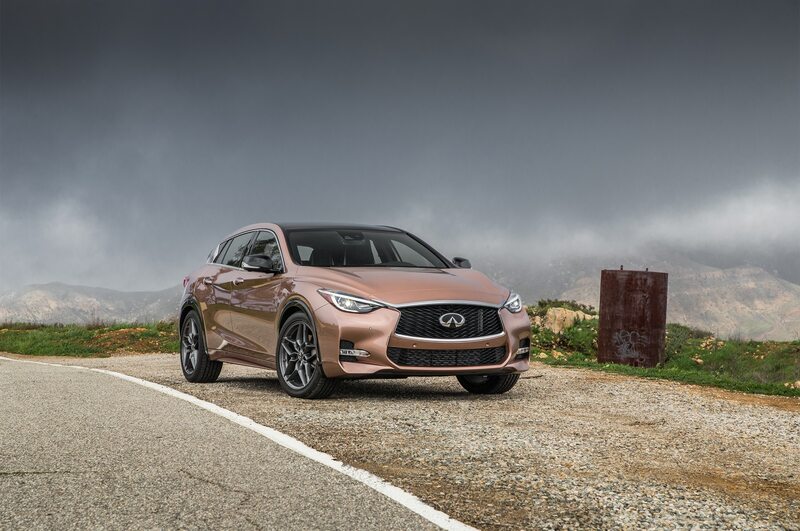 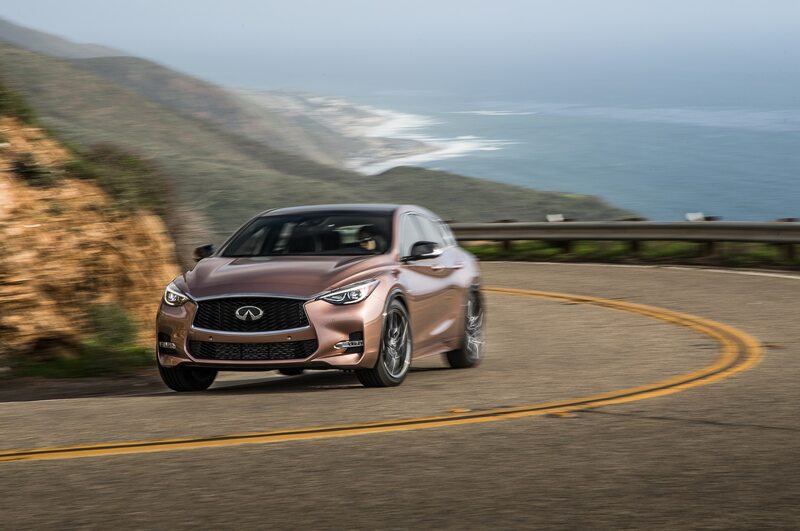 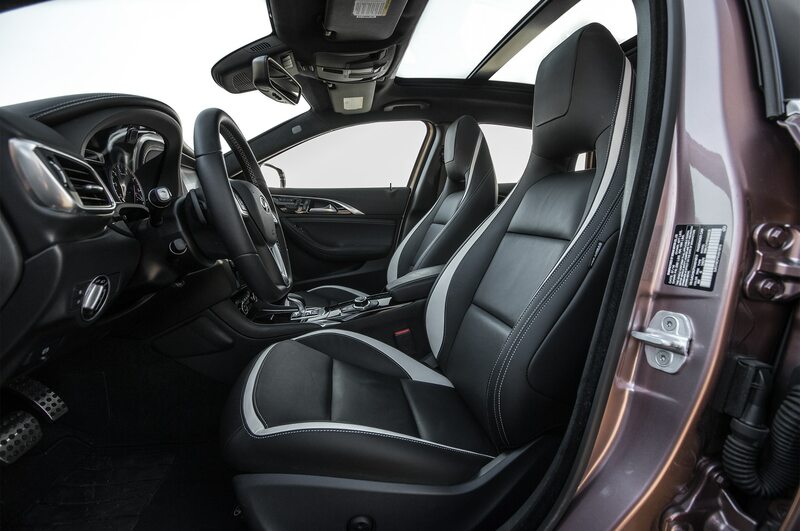 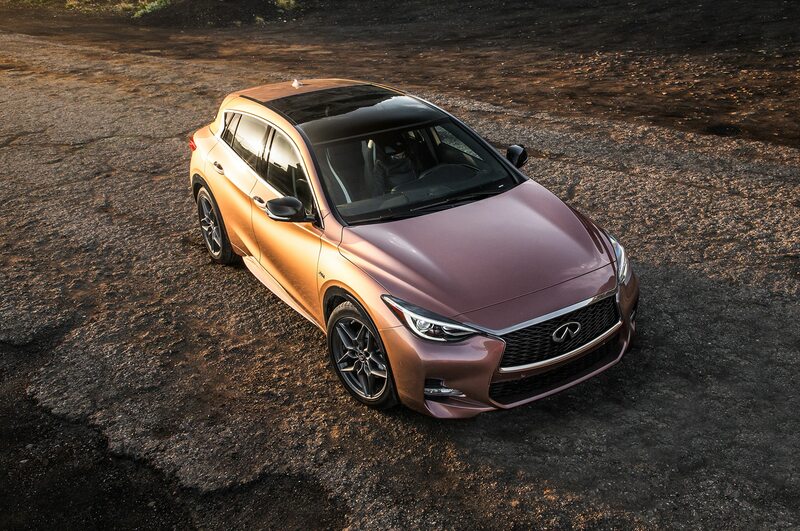 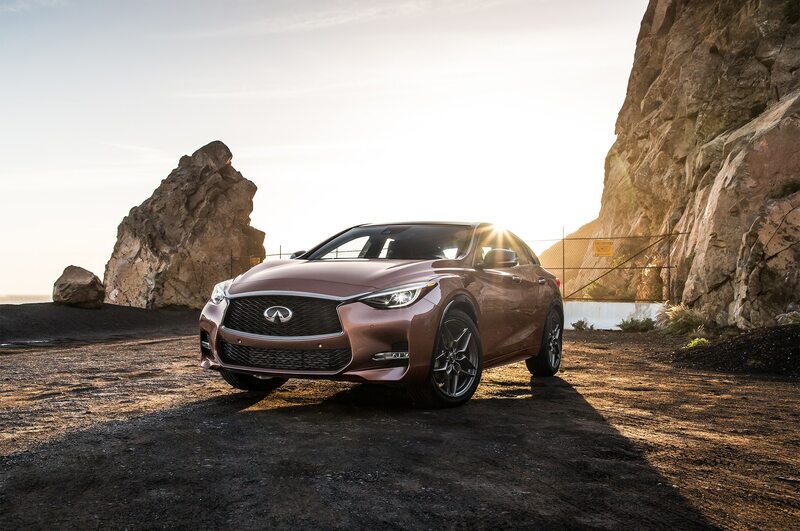 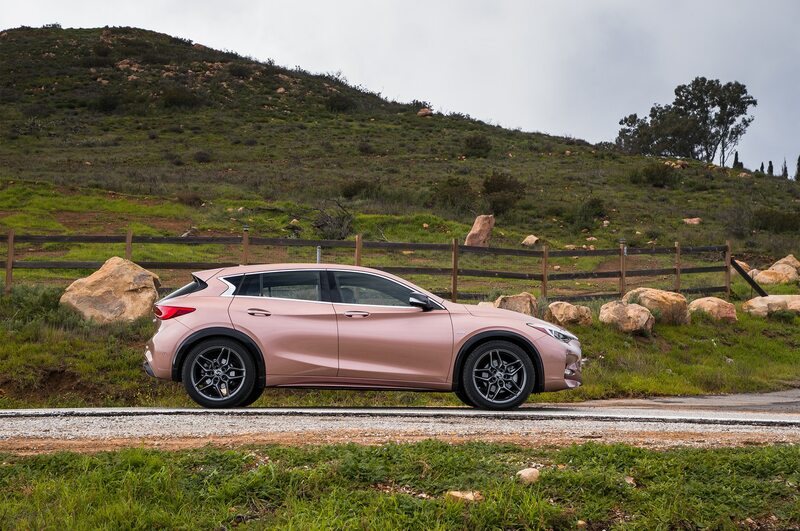 This QX30 includes all the features of the luxury and premium trims, as well as 19-inch alloy wheels, sport seats, a lower suspension, and brakes with cross-drilled front rotors. 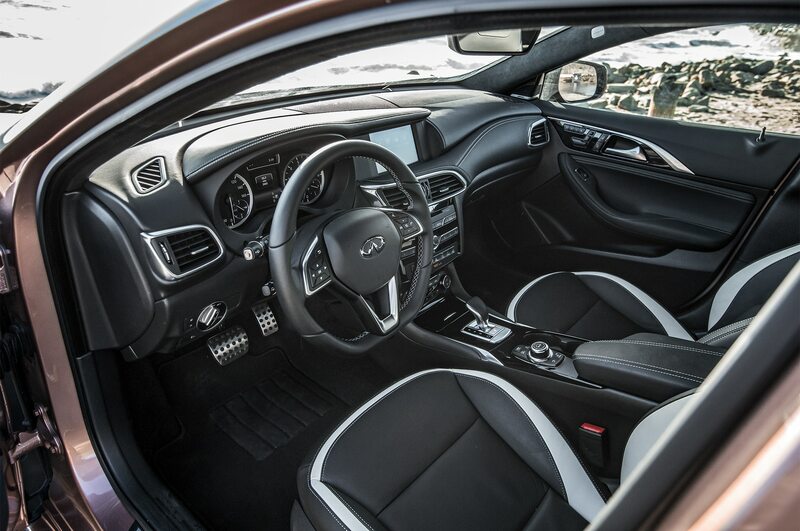 The model starts at $38,500, but we checked additional boxes on our tester’s order sheet to include the leather package ($1,500), blind-spot warning, lane-departure warning, intelligent cruise control ($1,200), and an LED pack with an active front-lighting system and ambient lighting ($1,000). 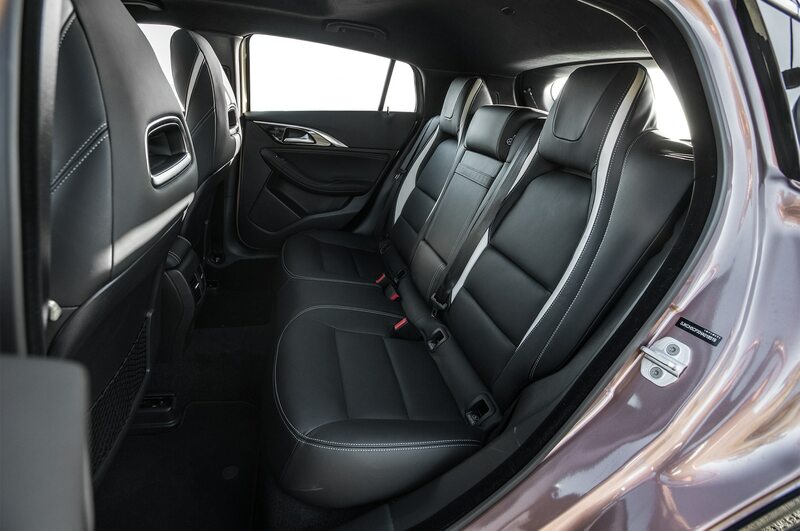 The new QX is already a popular ride in the office. 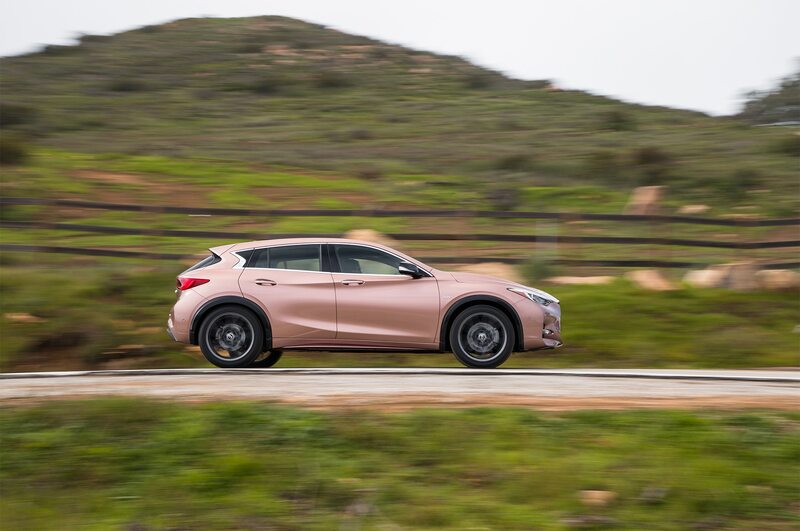 We’ll definitely rack up significant mileage in the months ahead to determine whether this is just an average urban hauler or a good Mercedes-Benz alternative.